500 piece puzzles are the perfect introduction to the relaxing world of puzzling. Our vast collection includes travel destinations, landmarks, ocean waterscapes, famous cities or a favourite nostalgia or fantasy world puzzle. Finished puzzles can be used to decorate your favourite room using puzzle conserver. 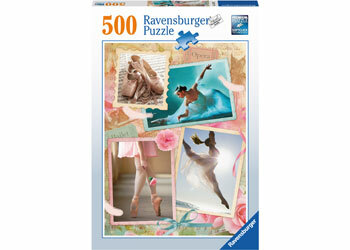 We have over 25 fabulous 500 piece puzzles for you to choose from. Look for more 500pc Puzzles from our Lifestyle Collection.